Do you know what to do in the event of a dental disaster? 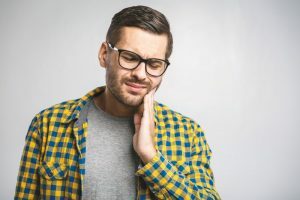 Dental emergencies, as their name may suggest, are incredibly hard to plan for as you don’t know when they’ll actually occur. However, there are some tips you should know on how to handle a dental emergency. Knowing what to do when a dental disaster strikes is the best way you can prepare yourself for an emergency that hasn’t happened yet! Keep reading to learn what you can do to safeguard your smile from an emergency dentist in Medford. Accidental trauma is usually the cause of an unexpected loss of an adult tooth. If you can find the tooth, pick it up by its crown and not the root. It’s imperative to keep the root as clean and free of bacteria as possible to avoid future infections. Help your tooth by keeping it moist until you can see your dentist. Use saline solution if you have it, otherwise milk, water, or saliva can keep it moist until your dentist can put it back in your gums. If your tooth dries out, the chance of it being able to be replanted back in your gums slims down. What Should I Do If My Tooth’s Cracked or Broken? Cracked teeth can cause extreme pain because it leaves sensitive nerves inside your teeth exposed. As soon as you know you have a cracked tooth, wash your mouth out with warm water repeatedly. If there’s blood, use gauze to apply pressure to the area of bleeding until it stops. Use cold packs, ice, or anything frozen you can get your hands on to put on the outside of your face. This will keep the swelling down. If you’re experiencing pain, take some over-the-counter painkillers to reduce discomfort and then call your dentist. When you visit the dentist, they’ll be able to tell you what caused the crack and if any blood vessels or nerves have been damaged. After, they’ll be able to take care of your cracked tooth in the best way they see fit. What Should I Do If My Tooth Aches? Keep bacteria away by rinsing your mouth with warm salt water. Not only will this help with bacteria, but it will sooth the affected area. Floss around the aching tooth to make sure there’s no debris that is affecting it. If you must eat, choose foods that are healthy, soft, and easy to chew. If pain persists, take pain relievers to feel better in the interim. You should then schedule an appointment with your dentist as soon as possible. Next time an emergency strikes, keep calm! After reading our tips on dealing with potential tooth trauma, you’re now more prepared than ever to combat a dental disaster. Dr. Anthony Giamberardino loves caring for his patients in Medford and making sure they have beautiful smiles. He also knows what to do when your smile’s not looking so stunning after a dental emergency. With dental expertise and modern techniques, he’ll make sure you’re receiving the best treatment possible. He currently runs his own practice, where he can be contacted through his website or by phone at (781) 396-3800.